Muddy Fingers is all about inspiring the next generation to get growing and have fun. Book below if you would like to join in. Muddy Fingers is a new fun, educational and creative gardening and nature club for children aimed at 2- 12 years old. Classes explore different themes around growing, nature and the seasons through a variety of practical and creative activities such as singing, storytelling, craft, digging, planting, tasting and exploring. 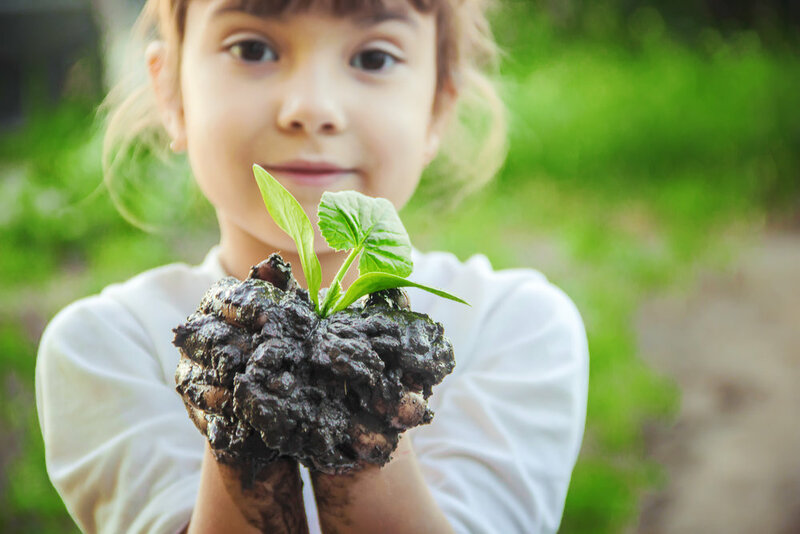 Children learn the importance of growing food, the importance of plants and flowers and looking after the environment. I set up Muddy Fingers because I have a passion for gardening and I want to encourage and inspire children to get growing. The love of gardening is a seed that once planted never dies. 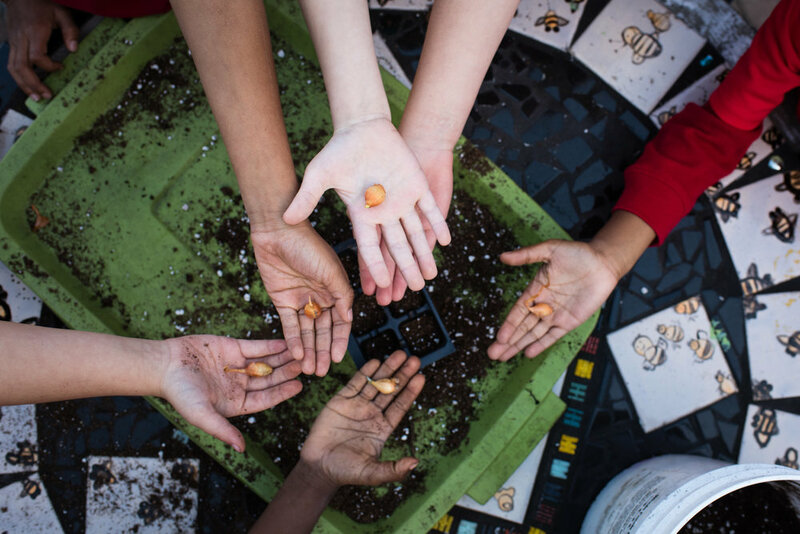 The benefits of gardening have been well documented and are great for promoting well-rounded development in children. Whether the garden is a yogurt pot on a windowsill, a community space, or a raised bed outside the back door, children who engage with it are harvesting so much more than food and flowers. We had a Muddy Fingers workshop to celebrate Mother's Day at our school. The kids had such fun planting the flowers and interacting and learning with their adults. Thank you for helping us celebrate the special people in our lives. These sessions are so well thought out. Lauren really goes above and beyond to give everyone the opportunity to get involved with all aspects of gardening and making it relevant to little ones, from healthy eating to growing plants, and crafting with the natural world around us. My boy loves coming to muddy fingers and we always get to take home something he is very proud of! Thank you! Lauren manages to provide a range of activities geared towards a theme each week, covering different skills and interests. We particularly enjoyed planting bulbs in the hall's community garden, making a Supertato and playing a game to feed 'baby birds' some 'worms'. The classes have inspired us to spend more time growing and playing in our own garden and we look forward to coming back for more Muddy Fingers adventures. My 4 year and I love Muddy Fingers. The structure of the class is perfect to hold a preschoolers attention, with 2-3 activities per session, a story, as well as a carpet time discussion on the topic of the week. There are always thing to take home after each session, and they always hit the spot with the kids (and adults too). We are looking forward to seeing what the spring term has to offer. Loved our session today with Lauren. The children were really engaged and the time in the session flew by so quickly! Ellie and Charlie can’t wait for their grass to grow. Look forward to attending another session. My granddaughter looks forward to each session, touching plants, seeds and getting her hands dirty in the soil. We’ve planted or prepared a succulents container, sweet peas, a lemon tree and we were shown how to chit potatoes ready for planting. The activities are paced to help keep the children focused. Lauren is very welcoming, patient and organised and an expert in her field. What a fantastic idea .... Such a great way to teach children and let them have fun too!